The Ritz‑Carlton Hotel and The Residences at The Ritz‑Carlton Hotel, Toronto are open, and the city is experiencing an exciting new 5-Star level of luxury. The hotel is absolutely buzzing with activity, and only a few fabulous suites remain at The Residences. And now, the Presentation Centre for the condominium is located in one of the two new fully decorated and furnished model suites – both of which are beyond magnificent. 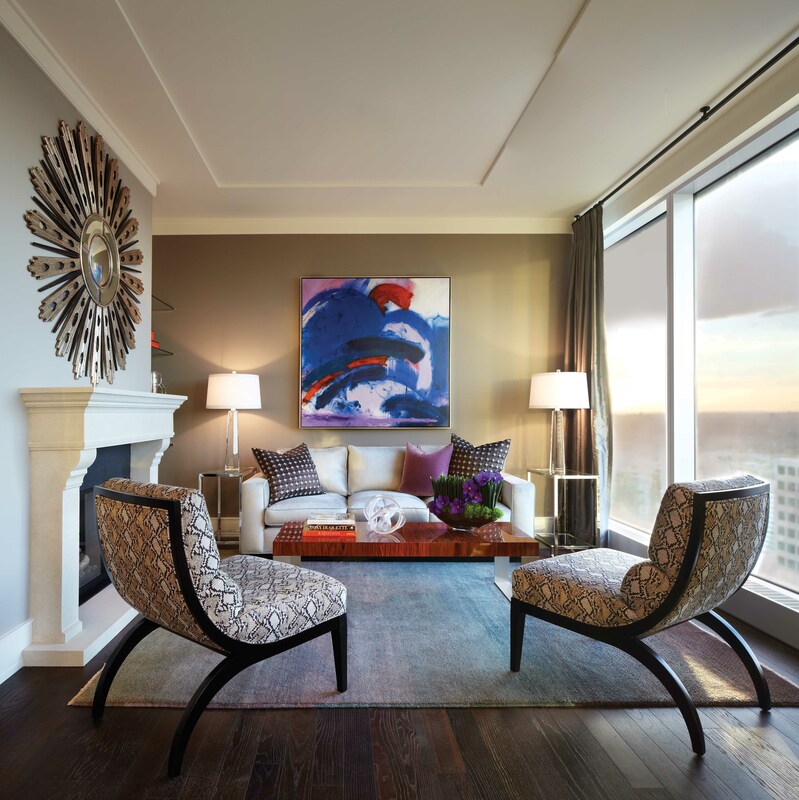 You truly need to tour these suites to appreciate just how striking they are. One was designed by 1212 Décor and the other by Choices the Agency to achieve two distinctive looks. And let me tell you, they are both gorgeous. The models showcase the contemporary elegance that can be yours, and with the few available suites beginning at the 34th floor, the views are simply breathtaking. Living atop a hotel with some of the most exciting and opulent amenities in Canada today takes your breath away as well. Anyone thinking of purchasing a suite in this exceptional building should tour the hotel amenities and both models to experience in person this outstanding opportunity. Suites range up to 6,000 square feet and start at $1.6 million, which for the international luxury market is incredibly reasonable. And remember that summer occupancies are available, so you could be living the legendary lifestyle in just a couple of months! The new Presentation Centre/Model Suite 4403 is located on the 44th floor at 183 Wellington Street. 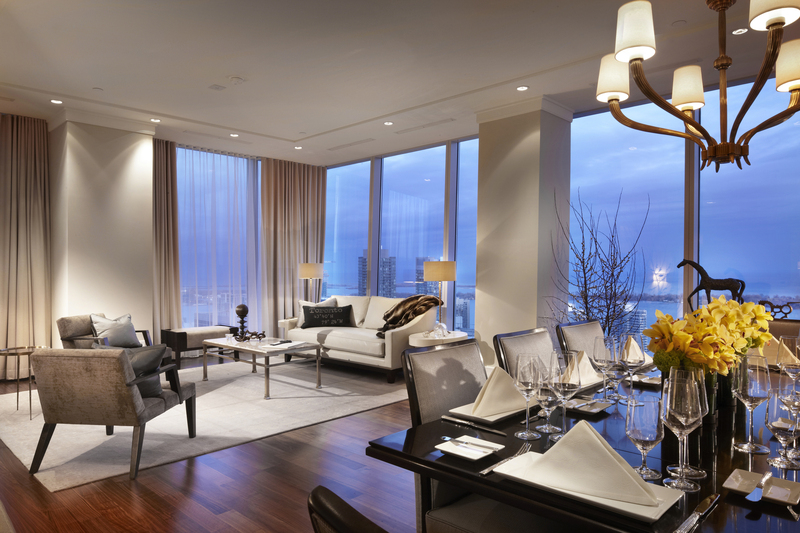 For hours and more information, you can call 416-591-1000 or visit www.theresidencestoronto.com. This is the luxury residential opportunity of a lifetime!